Welcome to my blog. My name is Tess, and I've been needle-crafting since the age of five, literally at my mother's knee. I've run a doll's clothes micro-business now for about eighteen years, and only in the last three years have I "gone offical" and made this my primary source of income. I feel very lucky to have been able to turn a passion into my job. And however minimal or modest this income is, I'm determined to keep it going. The dolls I sew for vary considerably. I began with My Scene barbie dolls, moved into Pedigree Sindy, Monster High, and Palitoy Pippa to put food on the table. 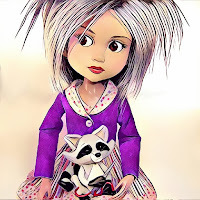 My work has been met with so much kindness and enthusiasm by the doll community. They are an amazingly kind and friendly group of people. Later on, I progressed onto Ellowyne Wilde dolls. After a few years of sewing and honing my craft, I tentatively published my first ever sewing pattern, in the form of a full tutorial with photo-instructions. 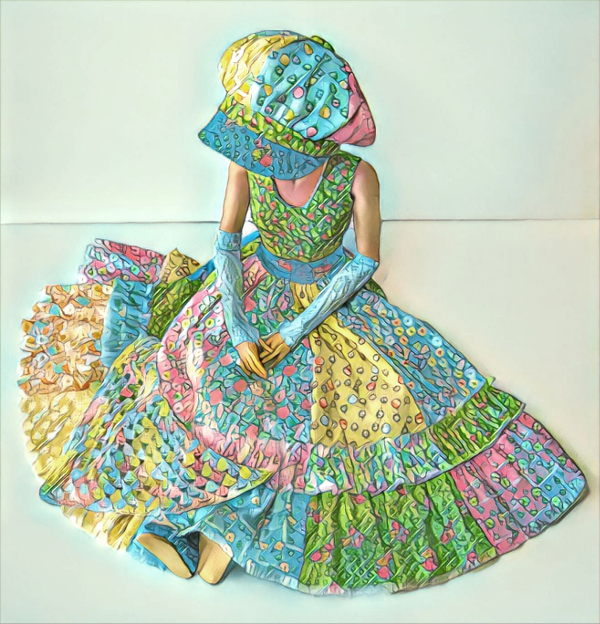 It surprised me by selling well, and I was asked repeatedly for more, so gradually I had published five, then fifteen, then fifty... and now over sixty sewing patterns! It's providing me with the aforementioned income, and more importantly, more inspiration as I go along. Like most designers, I worry that I'll eventually run out of ides, but I seem to get more as I go along, which is something of a comfort. 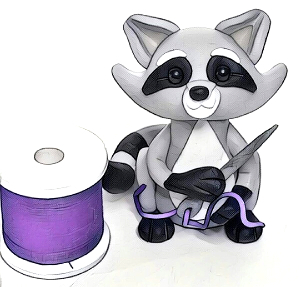 I often get asked about my Raccoon logo. This is Rufus. He's a little polymer clay figure made for me by the talented Gem at The Enchanted Cupboard (you can find her on facebook.) She has given me permission to use him as my official mascot. He sits nicely on Patience's lap. 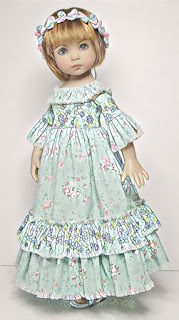 These days I sew for lots of different dolls. Ellowyne and Patience Wilde; Evangeline Ghastly, Kaye Wiggs girls, Little Darling, Blythe, Boneka, Iplehouse girls of different sizes, and others. 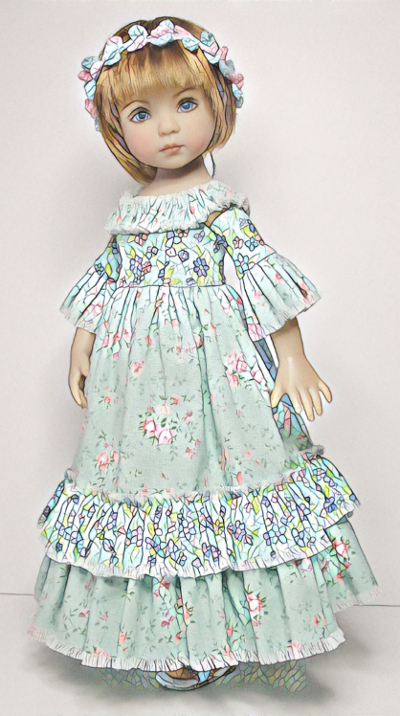 I was so sad that most of the Wilde and Tonner dolls were discontinued, but there still seems to be a solid fanbase, so I'm hoping to work on Tyler, Deja Vu, Cami, and Miette. It's nice to be able to call myself a fashion designer, even if it's only in miniature, and sewing is pretty much my life now, as I have some health issues, including agoraphobia. I'm over 50; live in the country, blissfully single, in a house with lovely friends, two cats, and more dolls than you can shake a stick at. Heaven.